Health and fitness are the necessities of life that every individual yearns for. As the famous saying goes - Health is Wealth. People today are very sensitive about health issues. 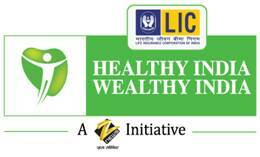 To promote a healthy India, Zee News has initiated 'Healthy India Wealthy India' Campaign. This initiative of Zee News will become a medium to help and guide viewers on health issues both nationally and internationally. Zee News strongly believes if 1.1 billion INDIANS are fit, then no one can stop us in becoming a superpower. Under the 360 degree marketing initiate, Zee News is taking this endeavor forward and has joined hands with top class hospitals like FORTIS across the country to bring the awareness & conduct free HEALTH checkup camps in across various cities in India. One can call and pre register. Fortis Flt. Lt. Rajan Dhall Hospital in Vasant Kunj . S. L Raheja (A Fortis Associate) Hospital, Raheja Rungnalay Marg, Mahim (W), Mumbai.